According to a network release, Knocking, a leading broadcast media e-commerce platform, announces an exclusive partnership with CNN sister network, HLN, to unveil HLN Deals, a weekly TV segment that will showcase unique brands and products to HLN’s large viewer audience. It made its official debut today on Morning Express with Robin Meade. 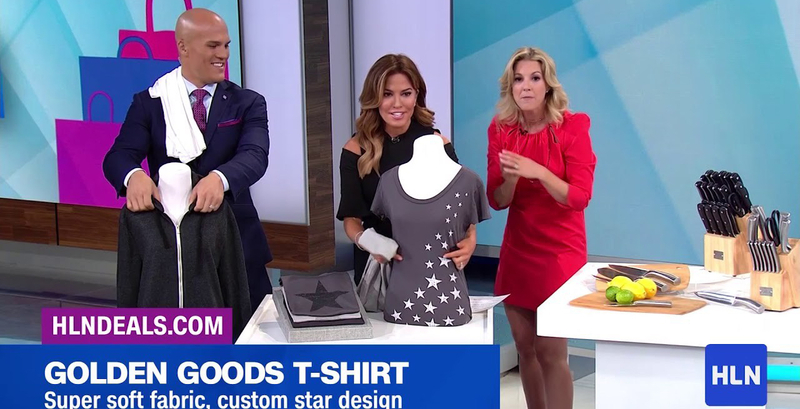 HLN Deals will integrate and feature premium brands as segments during HLN’s morning show and offer viewers the unique ability to instantly purchase featured products at exclusive discounts negotiated by Knocking and offered through Knocking’s e-commerce platform. “Consumers have demonstrated that they care about compelling stories, that they enjoy learning about great brands, and value genuine deals for premium products,” said Markus Reinmund, CEO of Knocking. “HLN always puts viewers first, and partnering with Knocking helps us meet this goal by combining engaging content with the delivery of exclusive deals for our viewers while also delivering an excellent consumer experience on hlndeals.com,” said Tim Mallon, SVP, Business Development and Operations for HLN.